Dental chair with cartoon cartoon charactor designs appears lovely, attractive and creating a friendly clinic environment to children. 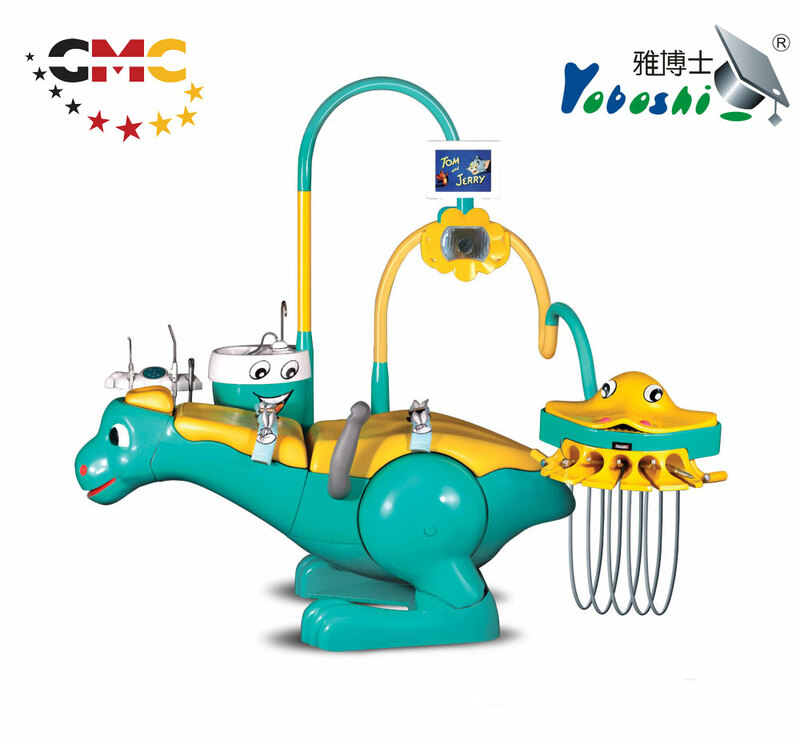 The cartoon design will attract the children’s attention and ease their fear and tense upon dental treatment. Thus, treatment can be carried out with joy and relax. Dinosaur patient’ s chair moves automatically by control key, apple side box and a cartoon fish instrument tray surely draw a lot of children attention.